Corliss on the Bay at the bayfront in Fair Harbor. Fair Harbor is a hamlet located near the western end of Fire Island. It is a part of the Town of Islip on Long Island, New York. The community was first founded in the late 1800s. Fair Harbor, like most other Fire Island communities, is mainly a summer community, though a few families choose to live there year-round. Children of the year-round families attend the Fire Island School District in Corneille Estates until grade 6  at which point they are bussed to public or parochial schools in Bay Shore or Islip for grades 7–12. The neighboring communities of Dunewood and Lonelyville, to the east have no stores or services so they rely on many of Fair Harbor's services, such as the Fire Department and EMS and Fair Harbor's one grocery store, hardware emporium, liquor store and restaurant. The population in the summer swells to about 1,500. Fair Harbor is a seasonal beach community. Many of the homes have been passed down from generation to generation. Most houses were built in the 1970s, but few of the homes date back to the 1940s. The town has a strong summer rental market, with most houses renting for the entire summer season or by the month. During the off-season there is limited car access to Fire Island while during the summer there is no car access and the town can only be reached by ferry or private boat. Biking and walking are the main modes of transportation. Fair Harbor falls under the police jurisdiction of Suffolk County Marine Bureau and is protected by its own volunteer fire department, the Fair Harbor Fire Department, founded in 1931. During the summer months lifeguards are stationed on both the bay beach and ocean beach. Being a seasonal community, Fair Harbor offers only a few services. The Pioneer Market is the only grocer in the hamlet; Le Dock, the only restaurant, is open for lunch and dinner and offers both indoor and outdoor dining. The Loading Dock sells liquor and wine, and Corliss on the Bay sells miscellaneous items including bikes, souvenirs, hardware, toys, magazines, books, paint, and garden items. There is also an ice cream store and a pizza take-out shop. These stores are open 7 days a week in season and closed during the off season (October through May). Fair Harbor is located on the western part of Fire Island between the Great South Bay and the Atlantic Ocean. It is about 47 miles by car to the ferry dock in Bay Shore, NY. From there, it is six miles by ferry across the water to Fair Harbor. Saltaire is the Incorporated Village immediately west of Fair Harbor while Dunewood and Lonelyville are directly to the east. To get to Fair Harbor, take the ferry from Bay Shore. While there are no hospitals or clinics in the town, medical service is provided in the summer months by the Fair Harbor Medical District. The district hires doctors, on one week intervals, from Memorial Day through Labor Day. The district provides a walk-in doctor's office and doctor's residence. The doctors are not paid but get a free week at the beach, are allowed to keep modest fees from patients and have office hours two hours a day—from 11 to Noon and 5 to 6 PM. For medical emergencies, the Fair Harbor Fire Department provides emergency medical services (EMS) which transports patients by its ambulance or by Suffolk County Police boat to Good Samaritan or Southside hospitals on the mainland, or if a serious injury they are transported by SCPD helicopter. ^ a b c d e Williams, Stephen P. "HAVENS; Weekender - Fair Harbor, N.Y."
^ "Home - Pioneer Market". Pioneer Market. 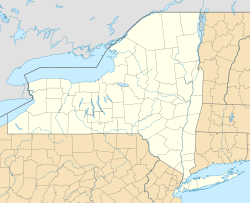 Wikimedia Commons has media related to Fair Harbor, New York. This page was last edited on 21 September 2018, at 00:41 (UTC).